There are some fights that were possible but they never happened. In the case of Joe Frazier verses Ken Norton a little bit of alternative revisionist history is needed to set the stage for the fight to have happened. The following, of course, is fiction and it is my take on how such a fight may have transpired. 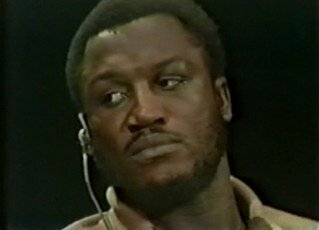 It is May 1974 and former heavyweight champion Joe Frazier is in training to fight fellow highly ranked contender Jerry Quarry who had defeated up and coming contenders Earnie Shavers and Ron Lyle the previous year. Frazier, who was fresh off a loss to fellow ex champion Muhammad Ali, knew a win over Quarry would solidify another heavyweight title shot against the man who had brutally taken his title from him, George Foreman. But as luck would have it Quarry, who was prone to cuts, was cut while training and the injury was severe enough to sideline him for the next couple of months. Frazier was told by several promoters and by representatives of the major sanctioning bodies that he had to beat a top ranked contender in order to be considered for another title shot. But the problem was that if Quarry, who fit the bill, was not available, and both Lyle and Shavers who had already been beaten by Quarry had slipped in the rankings, who was available for Frazier to fight? Frazier’s good friend Ken Norton, the man who had broken Muhammad Ali’s jaw and who himself just had a title shot against Foreman called off when the parties couldn’t agree on the percentages of the purse each fighter would receive was available and had been in training himself for a fight against journeyman Boone Kirkman. Both Frazier and Norton had said they wouldn’t fight each other because of their friendship but would the ambition of having a chance to win the heavyweight title and/or the chance for a substantial payday outweigh friendship? Well for Frazier the chance for another title shot won out and Norton, who had lost a big pay day and a title shot when negotiations fell through with the Foreman camp, decided to take the lucrative purse he would be guaranteed by fighting Frazier. Norton was gambling his place in the rankings that Frazier was not the fighter he used to be as Frazier had recently suffered the devastating second round knockout loss to Foreman, he had fought two wars with Ali, including the loss earlier this year, as well as having fought other battles over the years with many of the heavyweight division’s toughest fighters. The fight was set for June 29, 1974 at New York’s Madison Square Garden and at the weigh in the night before Frazier, at 5’11” tall and 209 pounds, looked small standing next to Norton’s sculpted 6’3” 216 pounds and to top it all off, Frazier, who never really had the physique that would instill fear in his opponents at first glance, looked soft in comparison to the Adonis like Norton. But looks don’t win fights and if heart was what it took, Frazier took a back seat to no one. But would heart be enough if his body couldn’t back it up any longer? As the bell rang for round one sounded surprisingly Norton went straight at Frazier landing several hard left jabs and a wild overhand right hand that sent Frazier reeling back. With Frazier, bobbing and weaving while uncharacteristically going backwards, it looked for a moment the actor may have been right and that a repeat of his early knockout loss to Foreman could be happening again. This continued past the two minute mark of the round as Norton pressed the action behind the left jab but he was unable to land the right hand again wildly missing on three attempts. Norton clearly had the edge in this opening stanza as Frazier, often a slow starter, didn’t land anything effective until near the end of the round when, after loading up and missing with two left hooks to the head, Frazier landed a hard right hand right on the button that got Norton’s attention. The fighters at this time reversed directions with Frazier pursuing and landing a hard left/right combination to the body at the bell. The trend continued in round two with Norton going backwards and Frazier charging after him, starting to smoke per his trademark, and while Frazier didn’t really land anything effective to the head he still managed to land several hard body shot combinations with both hands which seemed to puzzle Norton as, like a lot of Frazier’s opponents and based on his experience sparring with him in the gym which he had done a lot of in the past, Norton was looking for the left hook. But although Norton out landed Frazier and he won the round on all the judges’ scorecards by his use of the left jab on the outside and his use of the right uppercut in the clinches, the momentum seemed to be swinging in Frazier’s direction. Round three started out with Frazier charging out after Norton aggressively pounding both of his gloves together and landing two hard left hooks, one to the body and one to the head, which were followed up by a right hand to the head that had Norton hanging on clearly shook up by the sudden onslaught. Norton to his credit did fight out of the clinch with a hard right uppercut, and by pushing Frazier back to give himself some breathing room, and also by landing two hard left jabs that caused Frazier to momentarily take a step back but Frazier pressed forward after this with a hard left right combination to Norton’s body followed by a hard left hook that barely missed as it whizzed past Norton’s head. Norton spent the remainder of the round back pedaling and trying to hold Frazier off with his jab. This round was clearly Frazier’s as Norton looked a little bewildered by the increasing pressure and he was clearly thinking about how to deal with it. Norton came out for round four more assertively and he was consistently finding the range with the left jab by landing it several times on the chin of Frazier in the first minute of the round and every time Frazier tried to get back into his rhythm Norton would push him back or from side to side or he would tie him up by falling into a clinch causing referee Perez to issue warnings not once but twice. “If you keep this stuff up it will cost you a point,” said Perez. Frazier rallied in the second minute of the round by pounding Norton’s body with both hands and by landing a hard right hand to the head of Norton that caused Norton to take a step back clearly rocked by the punch. Frazier, sensing Norton was hurt, jumped on him by ripping hard hooks to the body with both hands. Frazier, really starting to smoke now, seemed to be snorting fire as he charged after Norton punctuating the round with a left hook to the body and another good right hand to the head. The trend continued in round five and throughout most of round six as even though Norton landed a fair enough number of left jabs, he didn’t seem to know how to deal with the constant pressure from Frazier that was increasing by the minute. But just as it seemed that Frazier was in complete control Norton landed two hard left jabs that snapped Frazier’s head back and an overhand right to the head that staggered Frazier almost putting him on the canvas. Frazier, who was clearly hurt by the punch fell into a clinch, as the bell sounded to end the round. Norton, looking to finish the job he had started at the end of round six, came out aggressively for round seven by pumping out hard left jabs and again trying to load up on the overhand right but this time he was missing the mark as Frazier bobbed and weaved under the blows which gave him time to recover from the damage inflicted by Norton in the previous round. At the 45 second mark of the round, With his head now cleared, he landed a hard right hand lead to the head of Norton which he followed up with one the best patented Frazier left hooks he ever landed that deposited Norton flat on his back. Norton, badly hurt, scrambled to his feet, rising as referee Perez reached the count of seven only to again to be met by a hard right hand to the head which was followed up by still another left hook that put Norton down for the count of eight. Although very game, Norton didn’t seem to know where he was as he stood up on very unsteady legs which prompted Perez to wave off the action thereby awarding the fight to the winner by TKO at one minute of round number seven, ‘Smokin’ Joe Frazier! Norton echoed Frazier’s sentiments about their friendship continuing as it was and agreed, when asked if Frazier’s right hand surprised him, that he didn’t expect it and that it was a key to Frazier’s winning the fight. “But I still think I can beat Joe and that if I would have had just ten more seconds in the round when I had him hurt it would have been me walking out the knockout winner instead of him and regardless of our friendship I would like another crack at him.” Norton though would not get a chance to avenge his loss as they never ended up fighting each other again. After Muhammad Ali had taken the title from Foreman Frazier did get his title shot, a fine losing effort against Ali, in one of the greatest heavyweight fights of all time, The ‘Thrilla in Manila,’ while Norton would later become WBC heavyweight champion only to lose his title in another great fight with fellow future hall of famer Larry Holmes. Next boxing news: Peter Quillin & Former Champion/Showtime Analyst Paulie Malignaggi On Undefeated Prospect Hugo Centeno, Jr.